Ten new suites featuring Royal Service, located at ground level in two-story buildings, in full harmony with the beauty of the garden that surrounds them. All of them have direct access to the enormous swimming pool and highlight a balanced design between the terrace with Balinese bed and the bathroom with Balinese shower. Daily turndown service in the evenings. Personalized coordination and assistance throughout your stay. Service in the private beach and swimming pool area (pool & beach concierge). Some of these 388 first, second and third-floor suites are connecting rooms. All of them are cozy with superb garden views and include the enormous swimming pool, as well as everything indispensable for you to have a pleasant stay. Fifty magnificent third-floor suites with 43 m2 of total area. Some of them are connecting rooms. 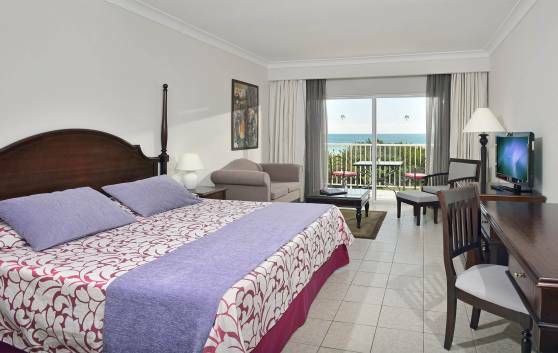 Located in a peaceful environment with splendid views to the sea and the beautiful beach that surrounds them. 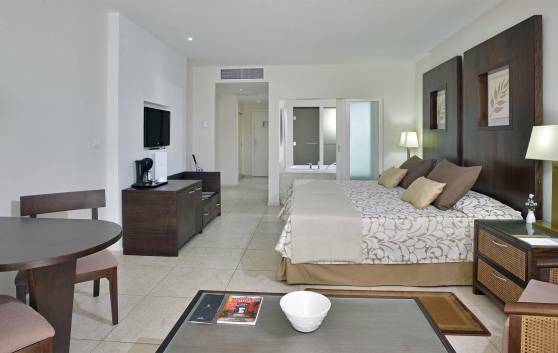 Twelve new suites located at ground level in a relaxed and calm environment. 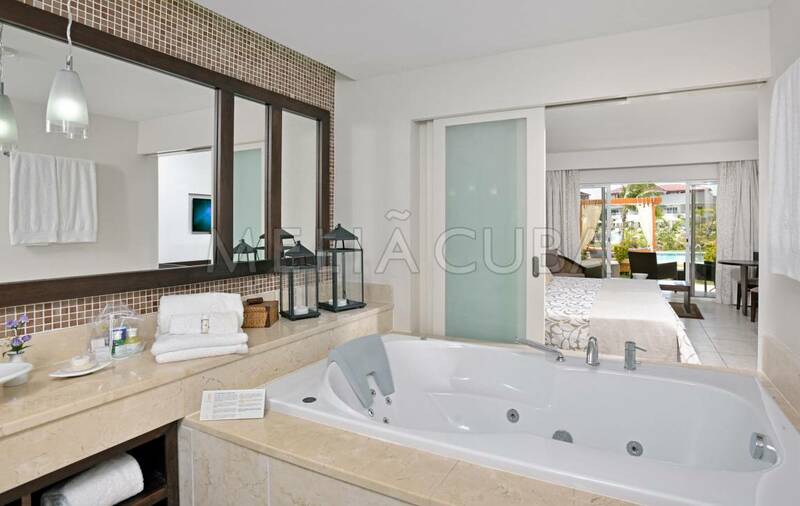 Sixty-nine m2 of total area, original decor and terrace with outdoor Jacuzzi facing the surrounding vast garden. Twelve upper-floor suites ideal for those who wish to experience unique moments. Sixty-nine m2 of total area, romantic decor, sea view and excellent invariable service. Forty-six magnificent Royal Service junior suites enjoying a privileged second floor location, with excellent garden views and direct access to the enormous swimming pool. Forty-nine m2 of total area and original décor. Every detail of these twenty-four Royal Service junior suites located in second floor and in front of the beach, seduces the most demanding client. 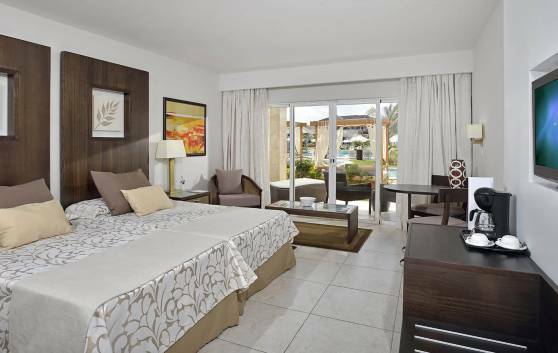 Situated in a relaxing and peaceful environment. 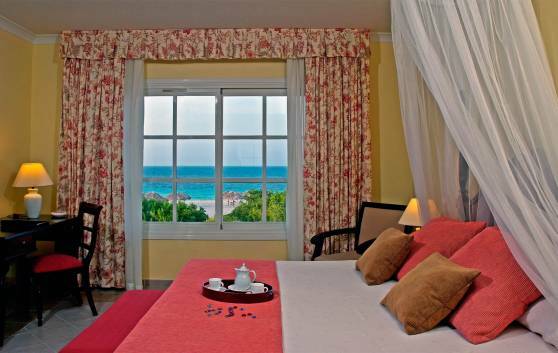 Provided with a terrace facing the sea and the beach that surrounds them. 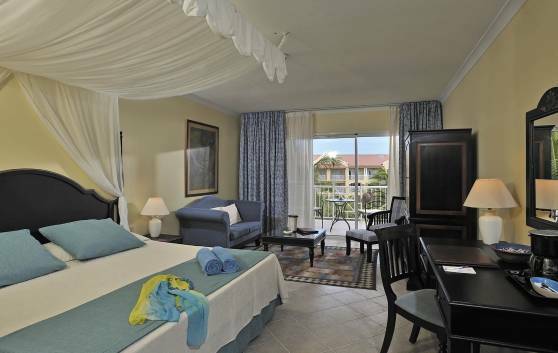 Twenty new suites featuring Royal Service, located at ground level and few meters from the sea and the beach. They provide an oasis of peace of well-balanced design and nature in terraces with Balinese bed. 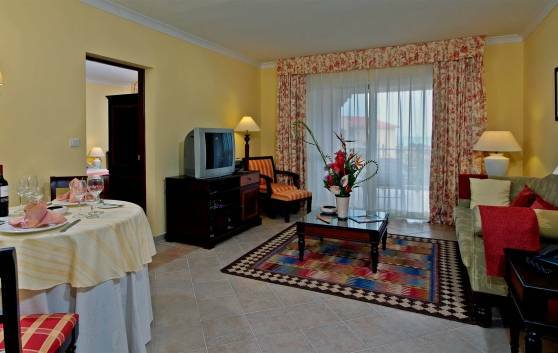 Garden view suites with direct access to the enormous swimming pool. 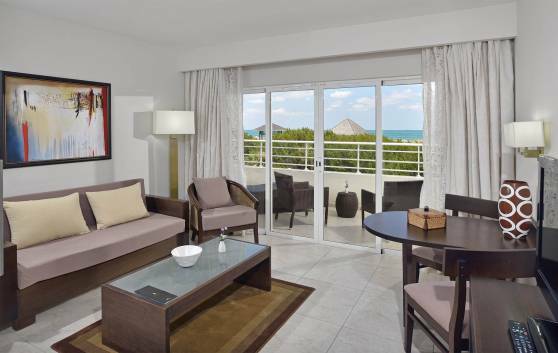 Eight new suites featuring Royal Service, located in a privileged ground floor and in front of the beach, ideal for couples. 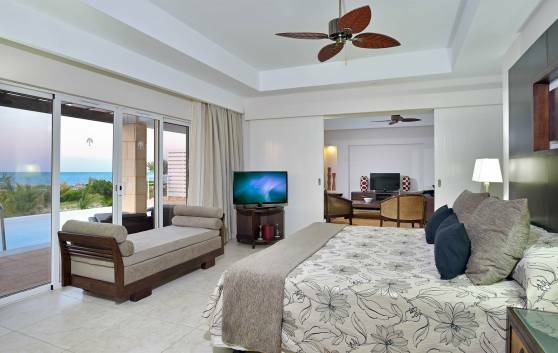 Spacious and well-lighted rooms provided with excellent garden views and terrace with Balinese bed. 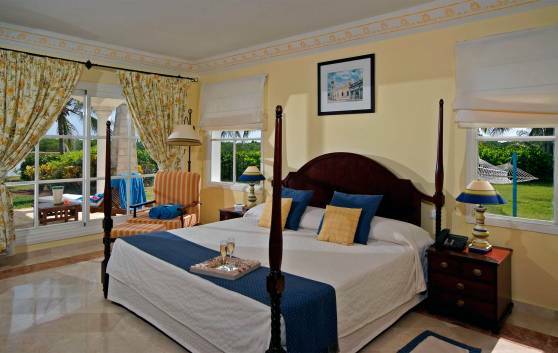 Magnificent Royal Service suites placed in two-story buildings with 69 m2 of total area. 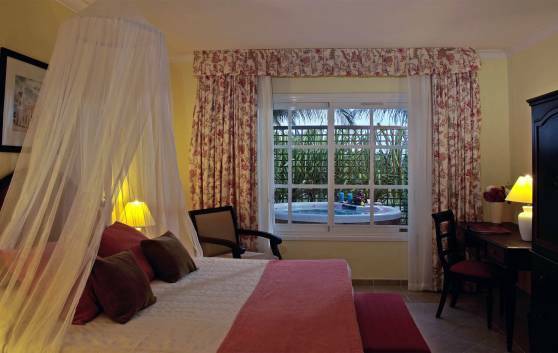 Comfort and nature tranquility blend in these suites with balcony superbly facing the garden that surrounds them. Two Royal Service bungalows, absolutely independent and few meters from the beach. Located in a relaxing and tranquil environment with dreamlike comforts: private terrace and garden with outdoor Jacuzzi offering marvelous views to a peaceful and colorful beauty. Privacy, safety and luxury are the key features of these two Royal Service luxe suites located in absolutely independent bungalows. Spectacular sea and beach views. 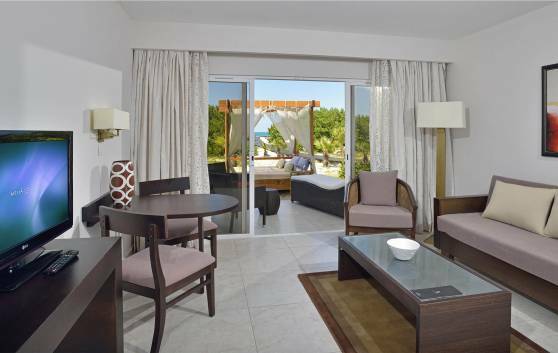 Also provided with special comforts such as terrace and garden with outdoor private pool and breakfast palapa.